Malawi’s reggae bird Sangie has dismissed rumours inking her to a music project in the Caribbean nation of Jamaica. A few weeks ago a local television station reported that the artist is gearing up for recording in Jamaica. The report however carried less weight in a way that it was also presented as a rumour. 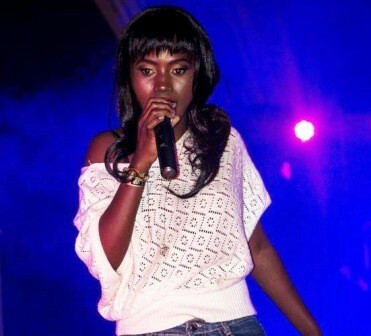 Malawi24 took the liberty of finding out from the ‘I do it all for love’ star but she did not confirm the deal. Sangie non committal on Jamaican deal. “I don’t know anything about that, I will tell you when it is time,” said Sangie. The Blantyre based artist has conquered the local music scene by storm with her beautiful reggae dancehall vibes. She has performed at major stages like the Southern Africa Development Community (SADC) Summit which was held in South Africa in August. Previously, Sangie was also reported to perform in Jamaica alongside a Jamaican artist but nothing has come out of the rumours. The television station made it clear that she is going to record with Jamaican producers and it will be sooner than later. Musiyeni mwana wamkazi apange mbali yake! Anthu mwachita kunena kuti bird, nde mbalame ya ku malawi ingapite ku jamaica? Don’t rush & feel good to sing there zabwino sachita kukakamiza just be cool don’t import demons from there if they need they can come & record kwa DJ slay and Janta here in MW there are not most important than us. I like yur music in anyway keep it up dear you are a star. Mwanayu amatha kunena chilungamo….it won’t be a surprise to see her performing with Jamaican artists. Mbalame ya raggae ya Ku Malawi imeneyi imatha. She can go and sing anywhere and wow ppo. She Gat The Key To Hit It. Big Bullets 1- 2 Airborn, else where standard bank cup, Bullets 1 – 2 Civo therefore bullets is out of ths year (standard bank cup) as it is Big bullets is no longer unbeaten as they were called before instead they are beaten kkkkkkkk! Prince Mwafulirwa sangie anafikapo poimba ndi Jamaican artists…. Kodi amalawi kuzodelera bwanji? mmmmm sanafikepo poti athakumaimba ndi ma jamaicans! Si M’bale Wanu Ameneyu Man? mmmmmm ali yese amene amakhala kumalawi ndi m’bale wanga man! Sangie sanafike potha kuimba wangoyamba, that’s the fact follow Jamaica for reggae osati chicken reggae mix tchopa zili m’ Malawi muno angolimbikira mwina koma Ku Malawi kulibe reggae yeniyeni. Take it or leave it. Talented Girl, so many people will try to rip you off. Be careful, simplicity is the way to survive. umatha komaosazifila kwambiri okey becoz ungathe monga………………….usovawekha.